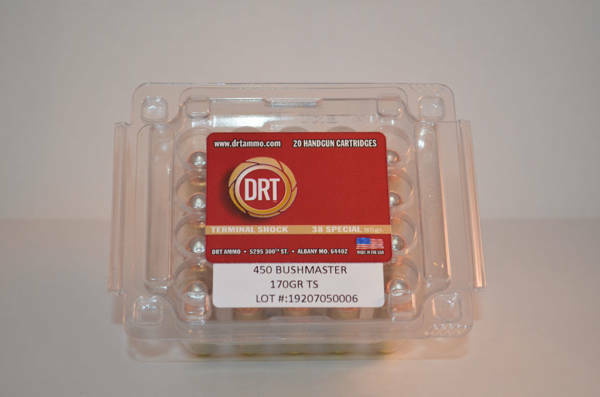 The 450 Bushmaster is a cartridge that is gaining popularity, especially in the states that have allowed deer hunting with straight walled cases. 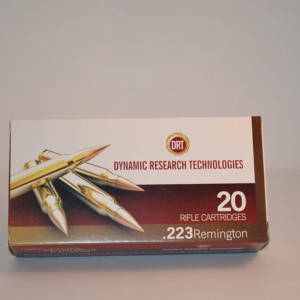 It is used in both bolt action rifles and semi-auto AR type rifles. It packs a punch, yet still has low recoil. 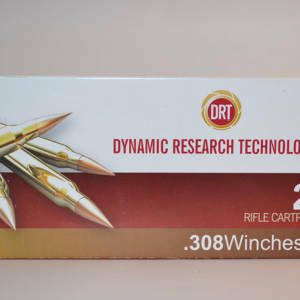 DRT is now offering this cartridge as factory loaded ammo using the 170 gr 0.451 diameter Terminal Shock round. 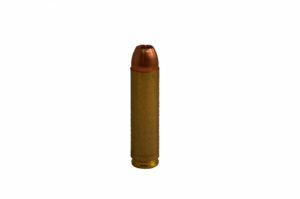 Pushing the velocity out of a 16″ bolt action to 2534 fps, this bullet is devastating on hogs and deer. WARNING: This round causes massive damage to organic targets. Be prepared to witness extreme wound cavities and some meat loss may occur depending on the shot placement.